This weekend I've started a new design. 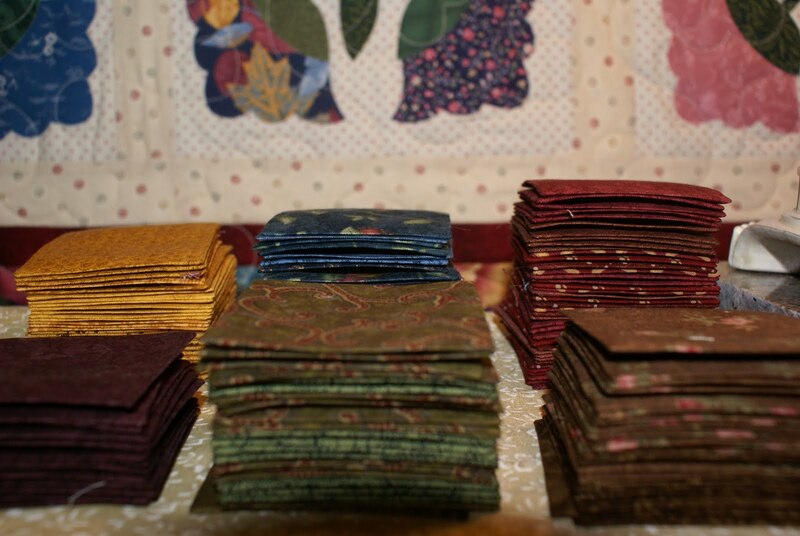 Super scrappy quilts are always my favorite, so for this one I started with a small fq bundle of Old Primrose Inn and pulled together as many coordinating prints as I could find in my stash. Its a long way from a finished quilt top - but here are a couple photos of a work in progress. 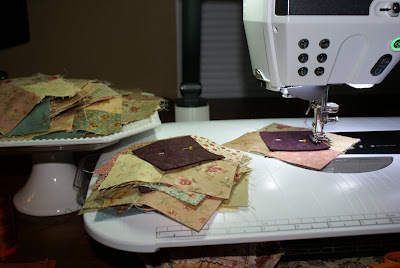 I love your scrappy quilts ( my fav) and I adore your fur-babies! 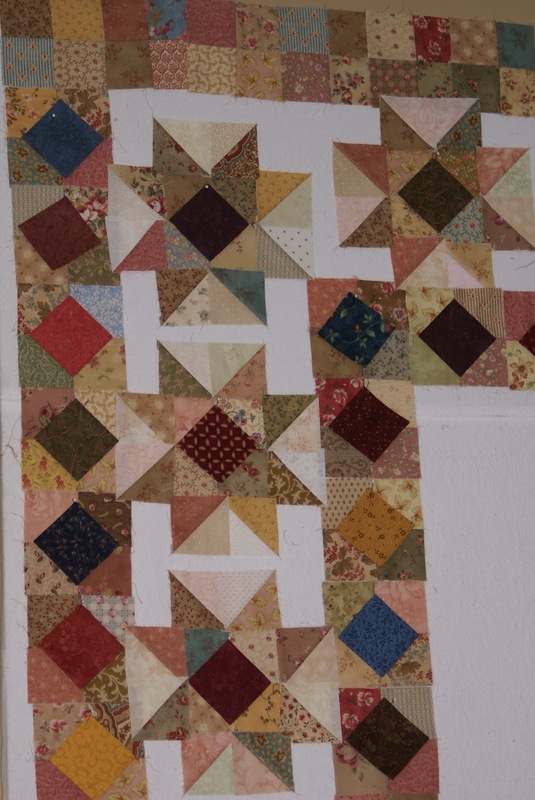 I can't go past a scrappy quilt either. It's a delicious colour sensation. I like yours on the sidebar and on the design wall too.